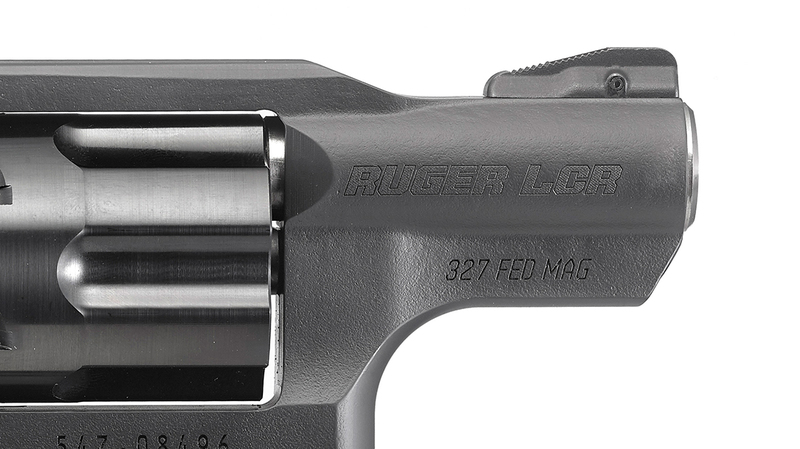 Ruger designed this LCR to harness the versatile .327 Federal Magnum, a cartridge more powerful than the .38 Special without the recoil of the .357 Magnum. It strikes a great balance for personal defense. Ruger’s patented friction-reducing cam gives the LCR a smooth, non-stacking trigger pull that contributes to its stellar inherent accuracy. 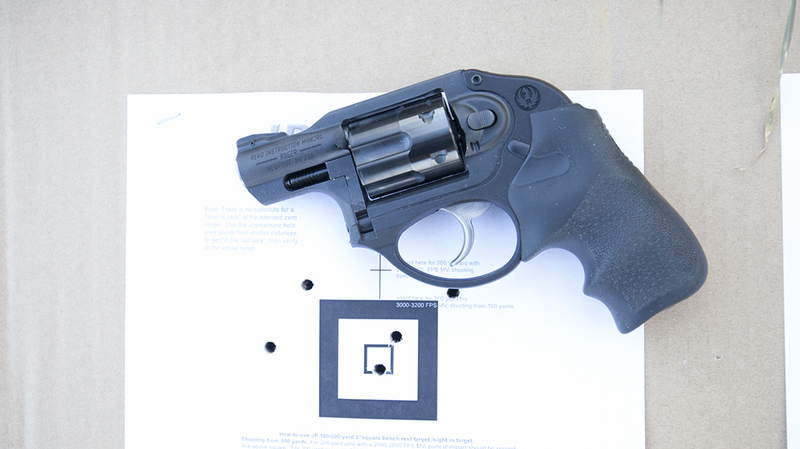 In testing, the Ruger LCR handled easily, and despite its short 1.87-inch barrel and corresponding sight radius, it produced very tight groups out to 25 yards. Like other LCRs, the .327 Federal Magnum version comes with a pinned, serrated front ramp sight that is easliy replaced if needed. 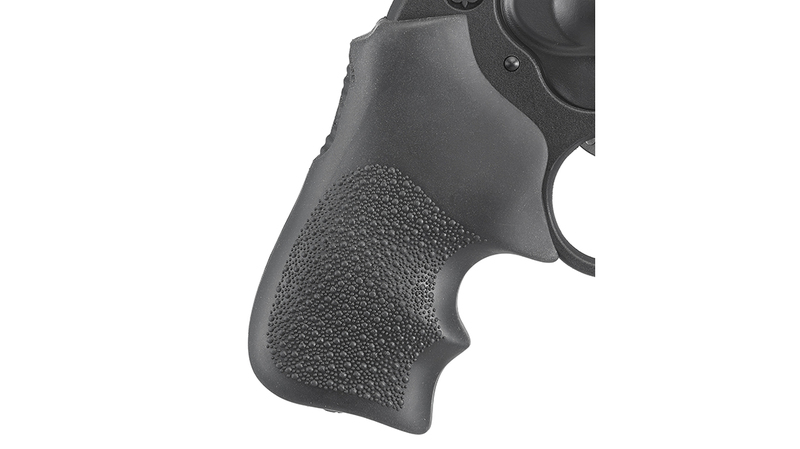 The LCR comes with a Hogue Tamer grip with finger grooves and subtle pebble-grain texturing for a non-slip hold. Personal-defense handguns are more popular now than ever before. A big chunk of those sales are compact revolvers because of their inherent portability and reliability. 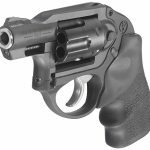 To address the needs of American shooters with concealed-carry permits, Sturm, Ruger & Company introduced its Light Compact Revolver, or LCR, back in 2009. The first LCR versions chambered in .38 Special were followed in later years by .357 Magnum and .22 LR variants. The latest iteration of the LCR is chambered in the powerful .327 Federal Magnum, and I recently got my hands on one of these models for testing. 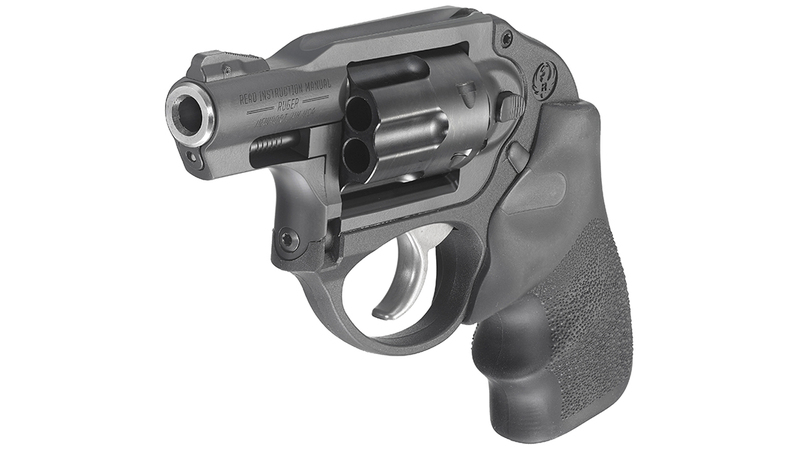 While I often carry a five-shot Smith & Wesson Model 637 Airweight in .38 Special concealed, this new Ruger LCR offers quite a similar fit and feel with the benefit of a sixth round. 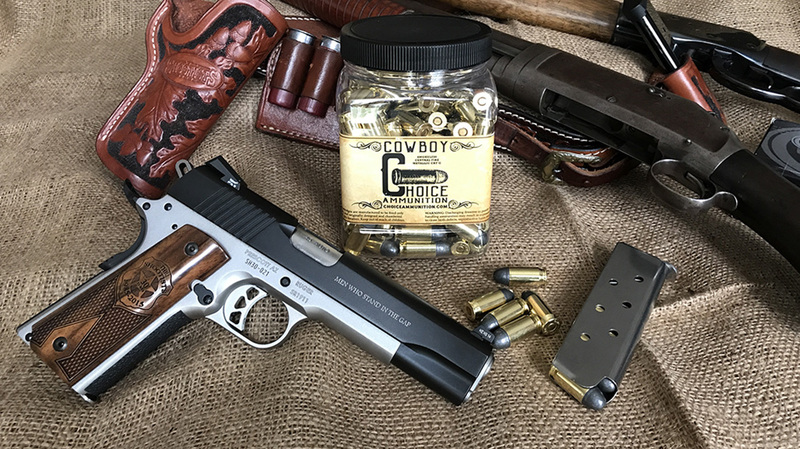 A longtime fan of the .32 H&R Magnum, the .327 Federal Magnum LCR may just be one of my new favorites for concealed carry. A collaborative effort between Ruger and Federal, the .327 Federal Magnum broke onto the shooting scene in 2008. The .327 Federal Magnum is a souped-up .32 H&R Magnum, which essentially makes the new round a super-magnum cartridge. My personal interest in the .327 Federal Magnum is based in part on experience with the .32 H&R Magnum. More than two decades of shooting a Ruger Single-Six in this caliber to the point where it had to be factory rebuilt is a testament to the countless rounds I’ve sent downrange. I also regularly shooter and care for a couple of 100-year-old Colt Single Action Army revolvers in .32-20, rounding out my experience with the .312-diameter clan. The .32 H&R Magnum was first introduced in 1984, but its colorful lineage dates back to 1878 with the introduction of the .32 S&W cartridge. The original .32 S&W was a blackpowder cartridge developed by the Union Metallic Cartridge (UMC) Company. UMC was founded by 19th century titan Marcellus Hartley. He reasoned that selling ammunition was the true path of sustainable wealth in the firearms industry. He and his partners were so successful in selling ammunition that they were able to partner with Winchester to buy Remington when the company went bankrupt in 1888. The .32 S&W cartridge case measures 0.61 inches long and develops about 700 fps with a 98-grain, lead bullet from short-barreled handguns. Later, the .32 S&W Long was developed in 1896 as a step up in case length (to 0.92 inches), powder capacity and velocity. Also known as the .32 Colt New Police, the cartridge was adopted by then-New York City Police Commissioner Theodore Roosevelt as his police department’s official cartridge. Coupled with the Colt New Police revolver, Roosevelt made his decision based upon his police officers’ poor shooting abilities and the cartridge’s reputation as a very accurate round. Even today, the .32 S&W Long is chambered in international 25-meter competition pistols made by Hammerli, Benelli and others. The biggest difference in the .32- caliber pistol cartridges spawned by the .32 S&W and today’s .327 Federal Magnum is what you can’t see from the outside of the case. The .32 H&R Magnum measures 1.075 inches long and offers increased pressure from 15,000 to 21,000 copper units of pressure (CUP). Bullet velocities hover around the 1,200-fps range. The .327 Federal Magnum case is 1.2 inches long, and after you go beyond the obvious difference in case length, the .327 Federal Magnum gets its edge with a thicker case and some modern metallurgic magic. If you cut a cross-section from a .30 Carbine case, you will find what allows it to handle 40,000 psi of chamber pressure when you pull the trigger. 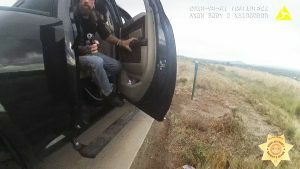 The .327 Federal Magnum is rated at a working pressure of 45,000 psi, hence its ability to drive .32-caliber bullets faster. When the .327 Federal Magnum hit the scene in 2008, several handgun manufacturers joined the movement. 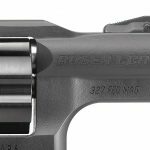 Charter Arms chambered its Patriot revolver for the new cartridge, and Taurus introduced the Model 327. Ruger’s initial contributions to the array of new handguns were its SP101 and GP100 double actions and the Blackhawk single action. Freedom Arms and U.S. Firearms added .327 Federal Magnum single actions to the mix. The real gem was the Smith & Wesson Model 632, which, even though it’s been discontinued, commands prices between $1,400 and $2,100 on the used-gun market. The popularity of these handguns has been mixed over the past few years, with several models now discontinued. 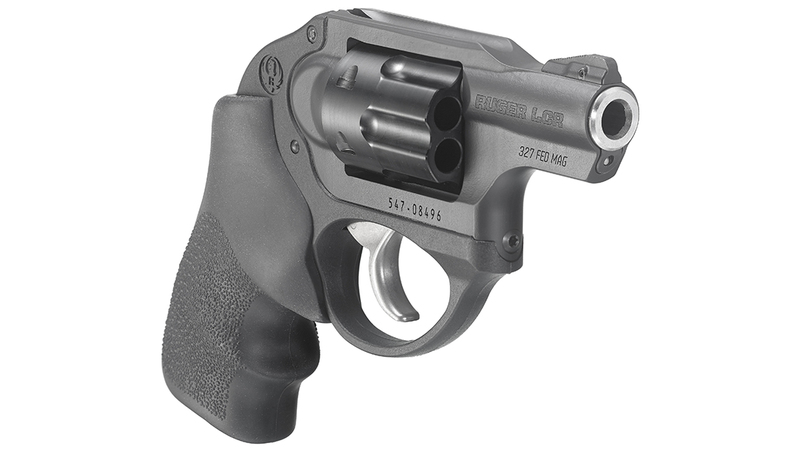 To fan the flames for the popularity of this cartridge, Ruger introduced the Single-Six in 2014 and the SP101 in early 2015. Of course, the new LCR in .327 Federal Magnum is another big leap for this chambering. This Ruger LCR has several notable features, including a Hogue Tamer grip and a monolithic frame. And, at 17 ounces, it’s truly a wisp of a handgun. 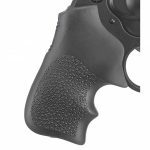 Of course, LCR revolvers get their trim weight by virtue an aluminum alloy frame combined with glass-filled polymer with what Ruger calls a “Synergistic Hard Coat,” which feels a lot like anodized aluminum. Only the barrel and fluted cylinder are stainless steel. The barrel measures 1.87 inches long with a 1-in-16-inch twist rate. Dimensionally, the revolver is only 6.5 inches long, 1.28 inches wide and 4.5 inches in height. As mentioned, the LCR carries six rounds in the cylinder. This is obviously better than the five rounds in the Model 637 in .38 Special. The cylinder is extensively fluted to reduce weight and features an Ionbond Diamondblack finish for excellent durability. The .327 LCR is a double-action-only (DAO) revolver with its hammer concealed within the frame. A polymer fire control housing holds all of the fire control components in their proper dimensional relationships, significantly reduces weight and helps reduce recoil. The friction-reducing cam is the next-generation design in fire control systems with an optimized cam that results in a smooth trigger pull. In fact, dry firing my test pistol revealed a smooth, crisp, light trigger pull that didn’t stack. The monolithic frame is made from blackened 400 series stainless steel. The grip peg allows a variety of grip styles to be installed, leaving ample room for cushion against recoil. The standard model is fitted with a Hogue Tamer grip, which is highly effective at reducing felt recoil. Finally, the front sight is a pinned ramp that can be replaced, and the rear sight is an integral U-notch. 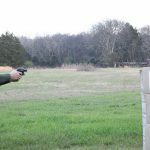 Much has been written about comparisons between the .327 Federal Magnum and the .357 Magnum. .32 H&R Magnum loaded with an 85-grain hollow point produced 1.46 foot-pounds of recoil energy. Now brace yourself: 125-grain .357 Magnum JHPs produce 7.22 foot-pounds of recoil energy. To say that the .327 Federal Magnum would be easier on your hand and nervous system than a comparable .357 Magnum is pretty obvious. 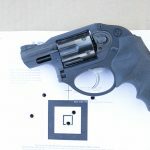 I used three loads to test the Ruger LCR’s accuracy off-hand at 7 yards and 15 yards and from a rest at 25 yards. I fired three 5-shot groups with each load. 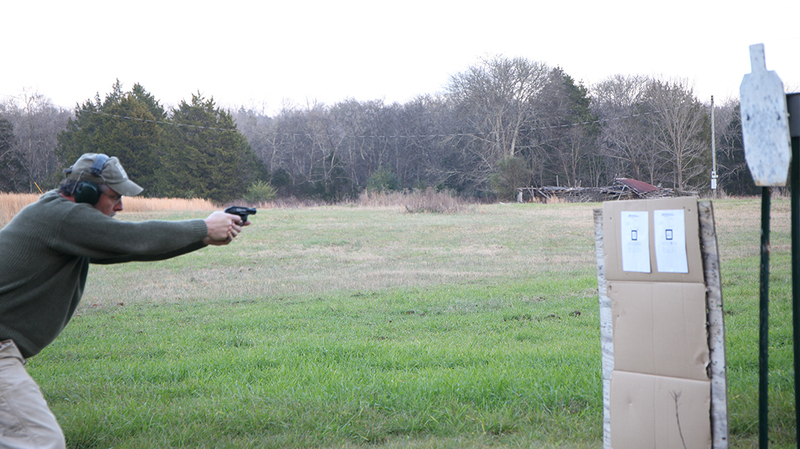 Federal’s 85-grain Personal Defense JHPs averaged 1,182 fps. 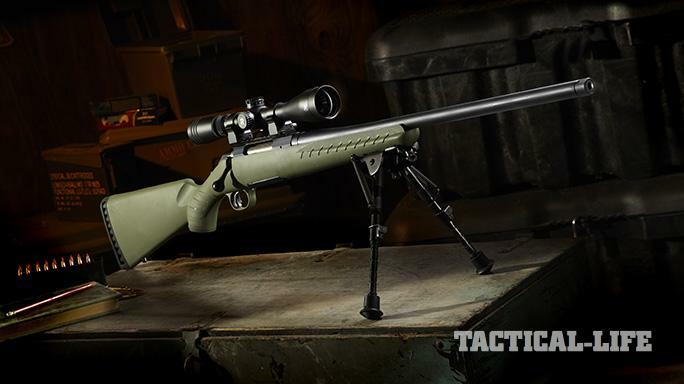 From the 25-yard mark, the best group with this load measured 2.65 inches. At 7 and 15 yards, the best groups measured 2.44 and 3.43 inches, respectively. The Federal American Eagle 85-grain SP created the smallest groups from the 7-, 15- and 25-yard marks. These measured 3.11 inches, 2.74 and 2.09 inches, respectively. The Federal American Eagle 100-grain JSP was the hottest load, averaging 1,288 fps from the LCR. 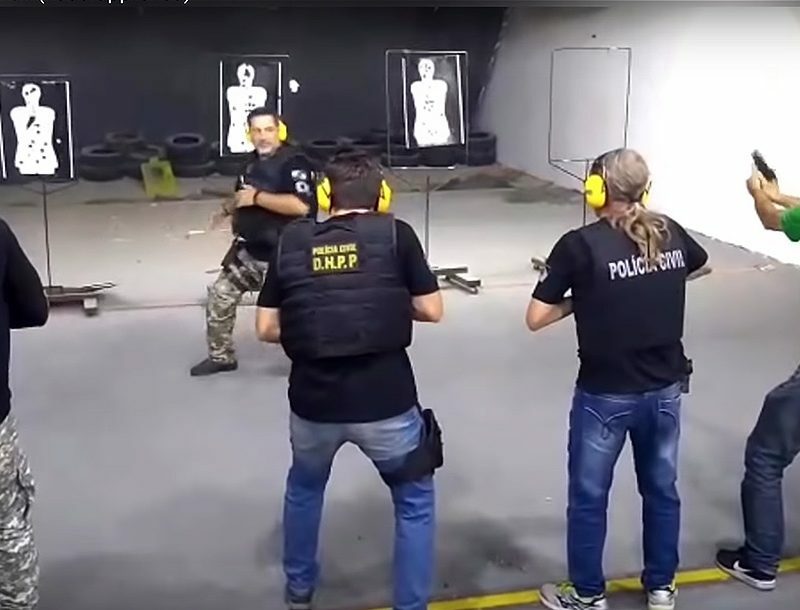 The smallest groups from 7, 15 and 25 yards measured 2.2, 2.45 and 1.98 inches, respectively. 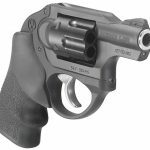 The Ruger LCR in .327 Federal Magnum is an ideal size and weight for concealed carry or as a backup weapon to a duty sidearm. Its six-shot capacity is also a true advantage over .38 Special revolvers similar in size and weight. In short, this is a new weapon that I will frequently carry for years to come. *Bullet weight measured in grains, velocity in fps by chronograph and accuracy in inches for best five-shot groups.